Most of us can still remember the era before CNN, the internet, smart phones, and 24-hour news, when the daily arrival of the paper brought the world into our homes. We’d hear the thwack as it hit the porch, and we might occasionally have a chance to wave to the paperboy. For some of us, family members would vie for sections — the comics, the sports, the front page and main news, the op-ed, the coupons, the society pages, the movies listings, or the classifieds. The paper was a way to peruse the world, from local and national news to global, both facts and opinion, covering all facets of life, at one’s own pace and depth of interest. It is a scenario that for many of us is etched in our memories. While time and technology have changed the way we get information, many of us still have a fondness for the hometown newspaper. 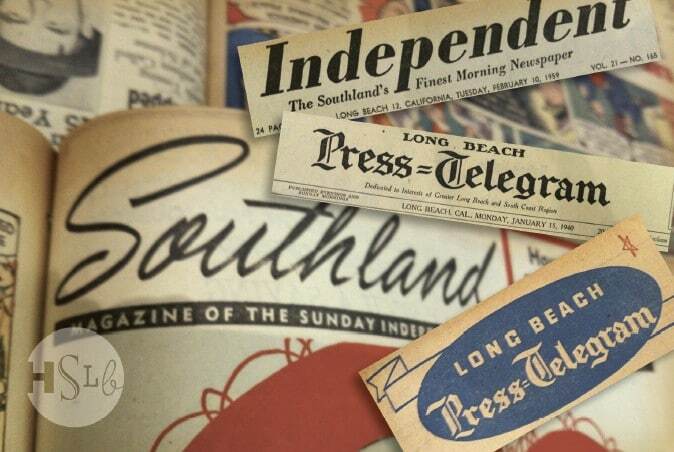 For Long Beach, depending on your age, that paper was the Sun, the Independent, the Telegram, the Independent Press-Telegram, or the masthead which remains today simply as the Press-Telegram. 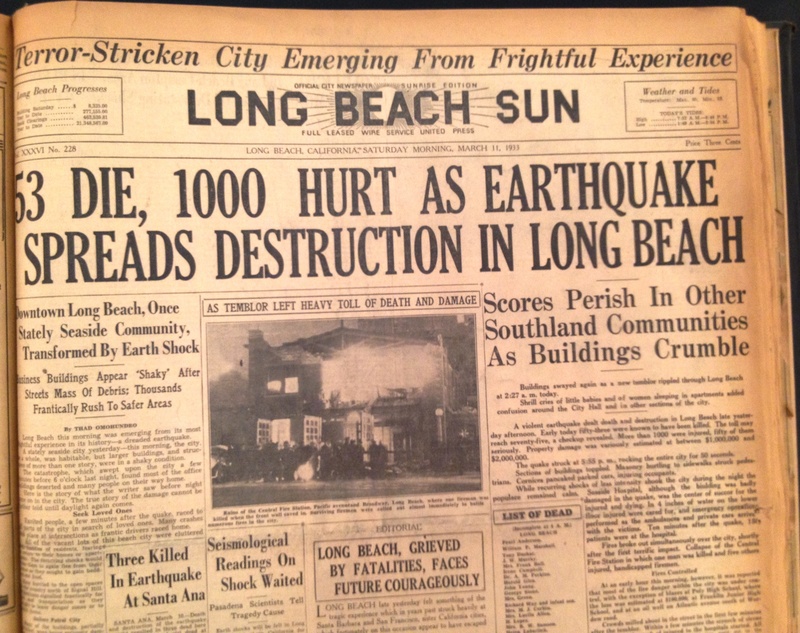 For these reasons, both historical and sentimental, HSLB is proud to announce that it is now the official and permanent home to the Long Beach Historical Newspaper Collection. It was in July of 2011 that years of discussion finally came to fruition. 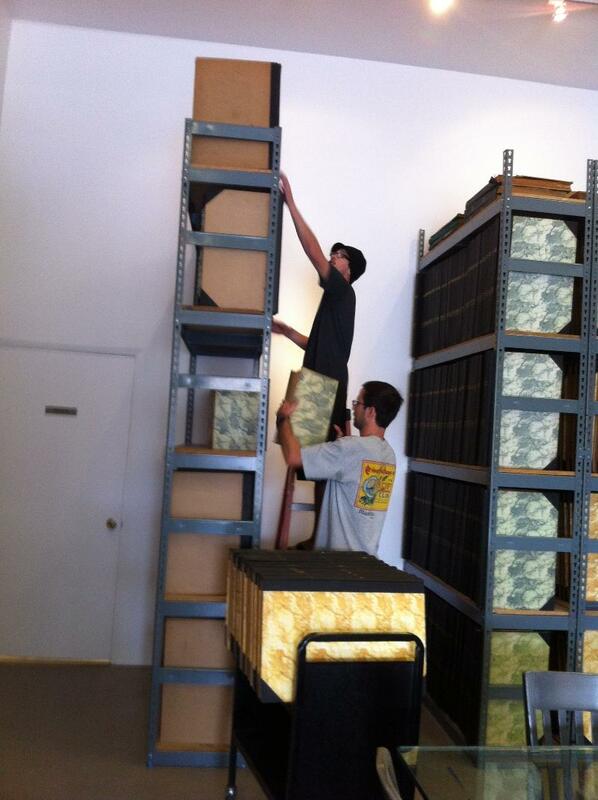 The Press-Telegram and HSLB created a partnership that resulted in 1,400 bound archival volumes of historical newsprint being relocated from a warehouse in Signal Hill to the South Gallery of our building in Bixby Knolls. What this partnership means for both preservation and access will be extremely significant. For the first time, the public will be able to view these newspapers exactly as they were on the day they were published. 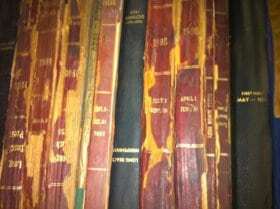 These volumes, for so long virtually hidden away, will now be protected from further damage and maintained by professional curators. These efforts will allow them to be utilized by academic researchers and amateur historians alike, not just today but for many future generations. On February 10th, 2012, the Press-Telegram and the Historical Society of Long Beach dedicated this collection. 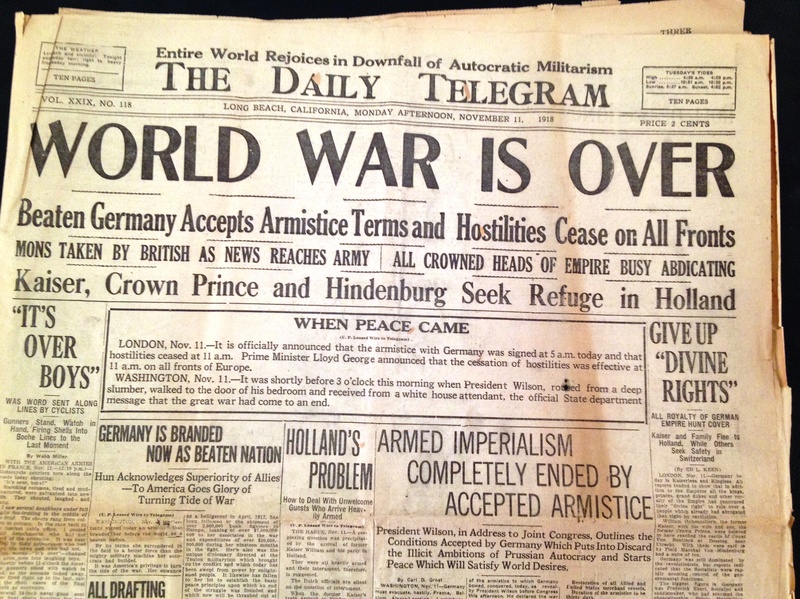 A brief history of the Press-Telegram can be found here.